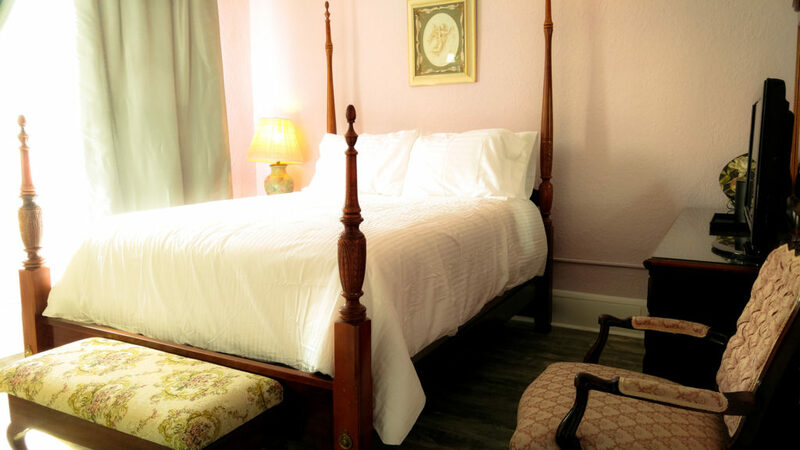 Book your next stay at our true 1925 boutique hotel, the oldest operating hotel in DeLand. 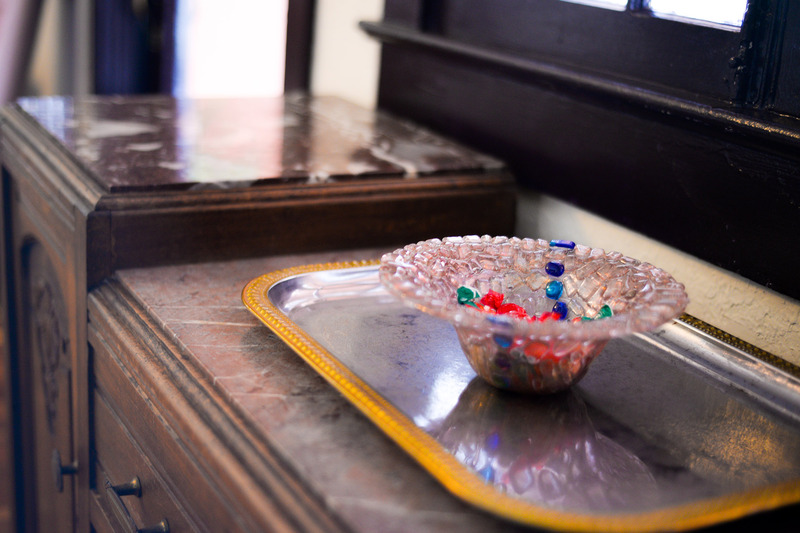 Original Architecture, Sushi Bar, Private Guest Lounge, Salon, and more, all upgraded with modern room amenities. 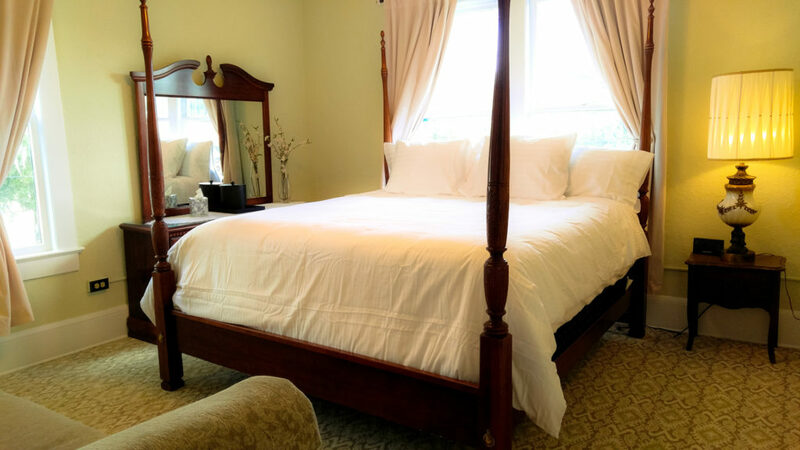 Experience the original ambiance and unchanged character of the 1920’s with a stay in one of DeLand’s best known establishments just 4 blocks away from Stetson University and beautiful downtown. 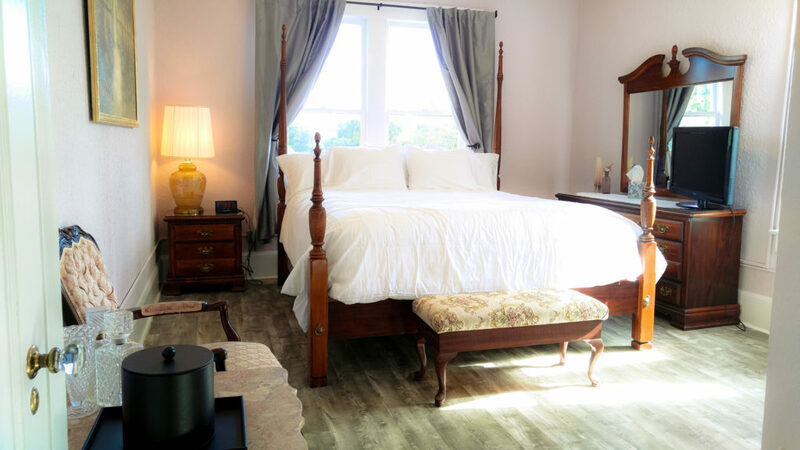 Original Architectural integrity will keep you in awe as you indulge in the claw foot bathtubs with shower, vintage furniture, vaulted ceilings complimented by sparkling chandeliers and wood flooring that makes you feel right at home. Your special occasion is OUR everyday aspiration. 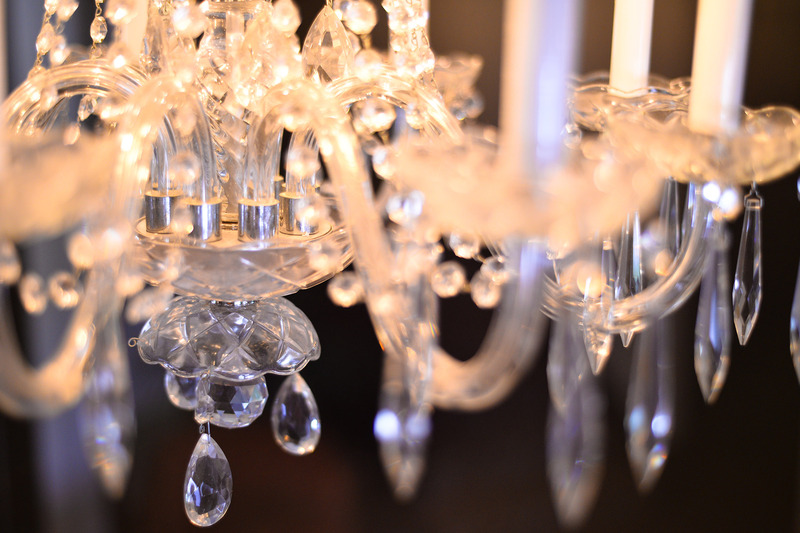 Reserve your event and rest assured that your choice and trust in The DeLand Hotel will meet and exceed expectations. A beauty salon, nail salon and massage therapy are a few of the luxuries residing within our hotel that help to make your Wedding Day a stress free one. 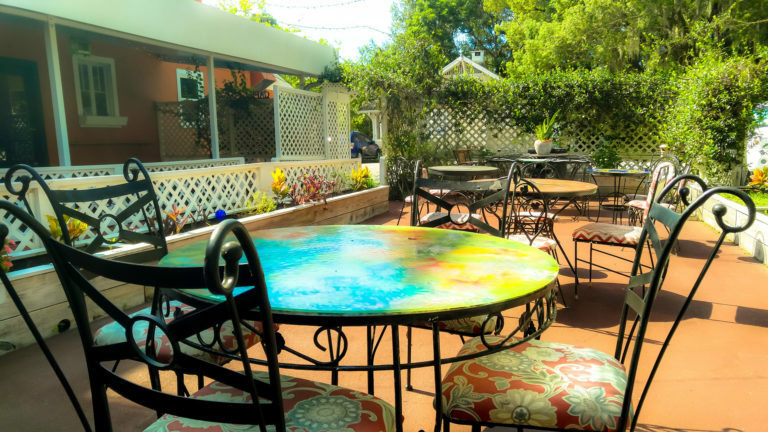 Parties and Dinners are a must book, when you see our beautiful outdoor garden patio. Enjoy delectable Sushi at The Twisted Chopstick, then sit back in our private lounge and enjoy a glass of wine or cold beer. 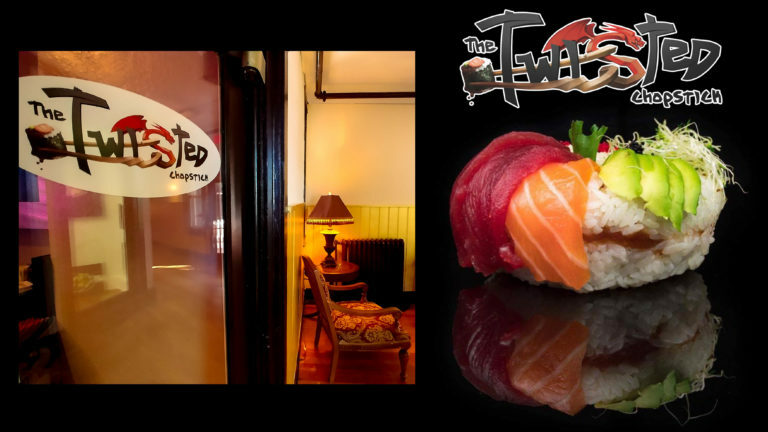 New and delicious, The Twisted Chopstick sushi bar is conveniently located inside The DeLand Hotel. Come try their Flying Lotus Roll, Tonkatsu Ramen, or even a Sushi Burrito! See what others have to say about us on GOOGLE! Went to the Deland Hotel recently to celebrate a friend's birthday by having dinner at the Twisted Chopstick which is located inside the hotel. While I didn't actually use the services of the hotel, I did have to cross through the lobby at one point and the lobby area was very reminiscent of the classic hotels of years past. Very charming and beautiful decor throughout. Absolutely lovely hotel with a classic decor, a lounge/cafe, and excellent staff. As an added bonus there's a yummy sushi restaurant, a salon and other shops on the ground floor. Also, this is the first hotel where i haven't needed to request extra towels! Lovely hotel...beautiful rooms....dress shop, hair salon, massages on site... coffee, wine all day for guests.... would have been 5 star if they had an on-site restaurant that was diversified..... it's a sushi restaurant. 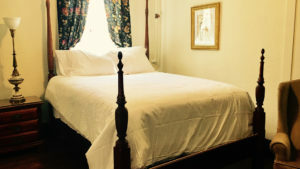 A great old Florida hotel in a nice town. If you are looking for a break from the chains, then this is a great place to try something new. Ross, the owner is an outstanding host and that's something somewhat rare these days. 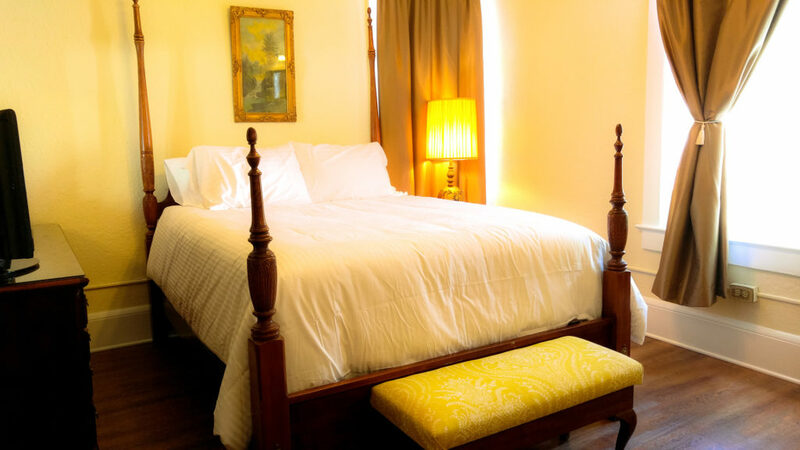 The rooms are comfortable as well and tastefully updated. You'll still find things like the clawfoot bathtubs so it's a bit of a time machine in some aspects too. I will repeat for sure. We absolutely LOVED this hotel. The owner and staff were incredibly kind and helpful. The vibe is that of the 1920's but still updated enough to not feel like you're staying in an old dusty building. We were upgraded to the second floor before we arrived because the owner wanted to make sure we weren't going to be bothered by the noise of the live band playing that night. The complimentary wine, beer and water was a nice touch. We had absolutely NO issues with the stay. Also, if you need recommendations of places to go locally, the owner will help you. For the price, it was outstanding. We will definitely be returning 😁 THANK YOU, ROSS! We were extremely lucky to find this hotel through a last minute internet search. The room rates were the best we could find in the area. We immediately called to book a room and had a very pleasant conversation with the owner. Upon our arrival, the owners and staff were very friendly and accommodating. 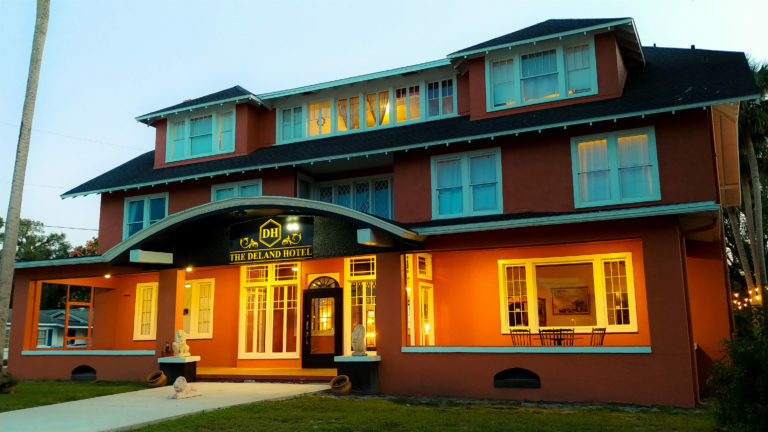 The Deland Hotel building dates back to the 1920s and the owners are dedicated to restoring its original atmosphere and appeal with the added bonus of modern amenities. It was clear that the owners set very high standards. 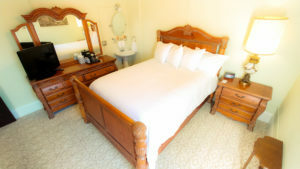 The room was immaculate and the atmosphere was era appropriate, including a beautiful bed! Check out their website for pictures. We had a great experience and we will definitely be back. Thank you to the owners and staff of The Deland Hotel! 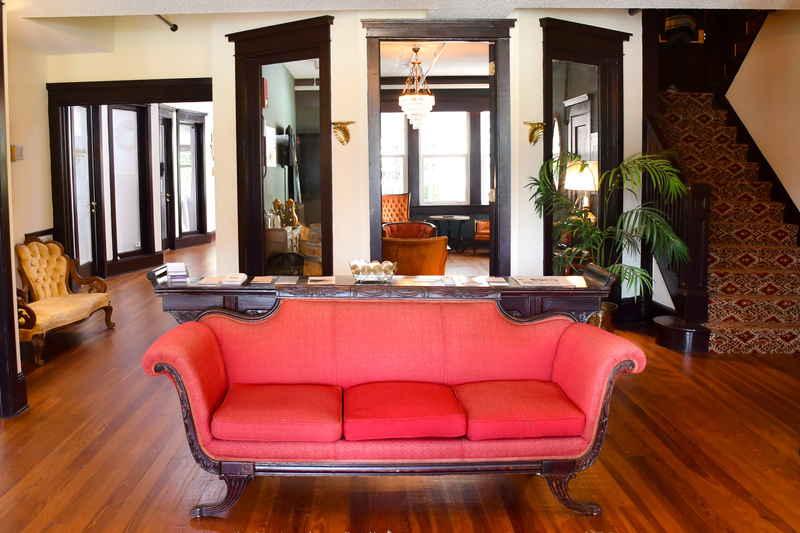 The Deland Hotel exudes charm the minute you walk through the front door. It’s one of the most historic buildings in Deland, and I selected this hotel over a non-descript Motel 6. I was originally booked into room 101 which has a bathroom directly in the middle of the room. With two people in a room this is awkward, to say the least. 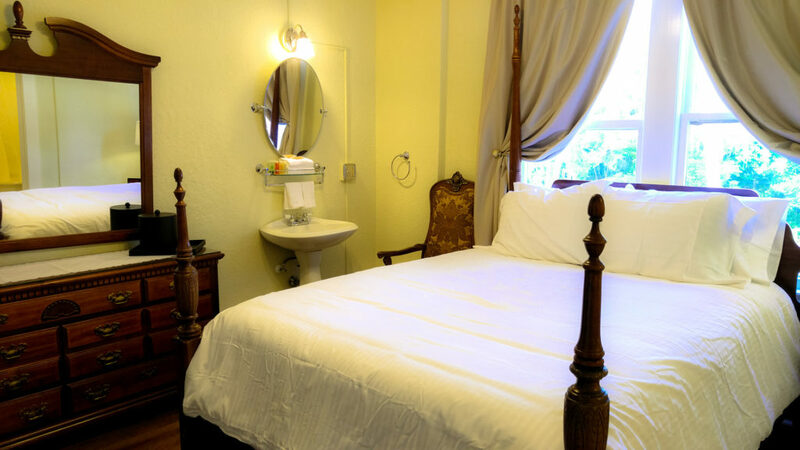 The staff was kind enough to upgrade us without hesitation or additional cost to another room that had a private, but separate, bathroom. The bed was very comfortable, and with the exception of the TV remote control not working properly, our stay was fantastic. 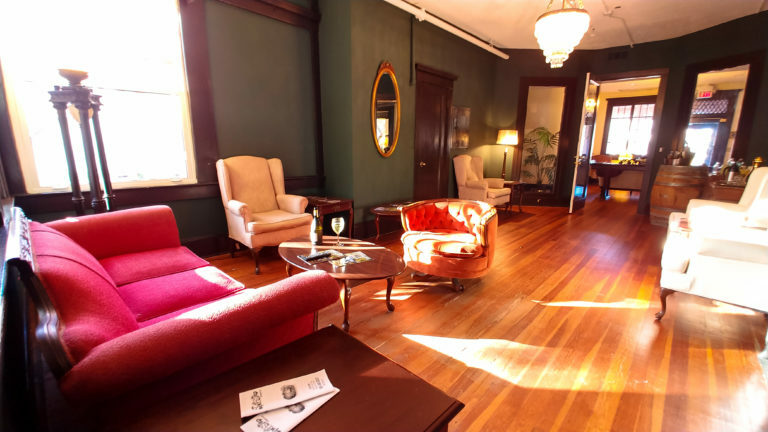 The best part of staying at the Deland Hotel is the lounge, where you can get free coffee in the morning and free wine and beer in the evening. Again, I can’t say enough kind things about the staff who were helpful and professional. I would stay here again without hesitation. One word of note about the city of Deland: we arrived on a Sunday, and everything -- from the shops to the restaurants – were pretty much closed. Learn from us, grasshoppers: if you’re going to be in Deland, plan to be there on any day but a Sunday. 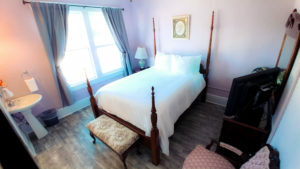 If you are planning to be in the Daytona, FL or Orlando, FL area and love to stay at very unique hotels, The Deland Hotel is a MUST to stay at. This home was built in 1925 and has been converted into one of the most beautiful hotels I have ever stayed at. 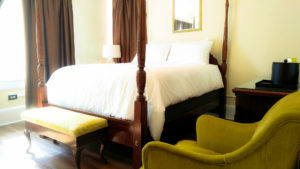 The Hotel has beautiful architecture and period furniture throughout the building. The rooms are balanced out very well with antique and modern amenities. I must say the bed was one of the most comfortable beds I have ever slept in. When I arrived, I was greeted by the owner Ross, offering a complementary glass of wine they also offer champagne and beer. Ross makes you feel extremely welcome and his hospitality is 2nd to none. I could write a book on all the positive experiences I had during my stay at The Deland Hotel however I would strongly encourage you to book a room and experience this very unique hotel yourself. I promise you will not be disappointed. I only wish Google offered 6 stars…. This is a good place to get away. Deland is a small town with a lot of nice little shops breweries. The hotel was comfortable and the staff was very nice. They had free beer and wine in the common room and free bottled water. The fresh flowers in the lobby were stunning. The back porch is very accomadating and a great place to sit and enjoy a drink and the amazing winter weather of central Florida. 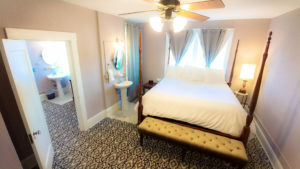 We absolutely adored The DeLand Hotel! We booked the whole hotel for 3 nights for our wedding party and loved every minute! The staff is super helpful and had complimentary wine, beer, coffee, hot tea, and non-alcoholic ciders ready for us as we arrived! If you want a beautiful and fun getaway, I highly suggest this hotel! If you're having a wedding in DeLand or nearby and like the 1920s feel, then consider booking it for your wedding party! It is just a short walk from shops and restaurants. Just so you can get an idea of the perks of booking the whole hotel for your wedding, see what all we hosted here below! 1. Meet & greet the first night for ~35 people in the lounge. (All of our guests were traveling, so we had our bridal party and immediate family who got there a day early attend.) 2. Rehearsal Dinner for 36 people in the outside seating area (complete with string lighting and a gorgeous vined archway!) 3. Bridal Shower for 20 people in the lounge with seating! (And mimosas) 4. 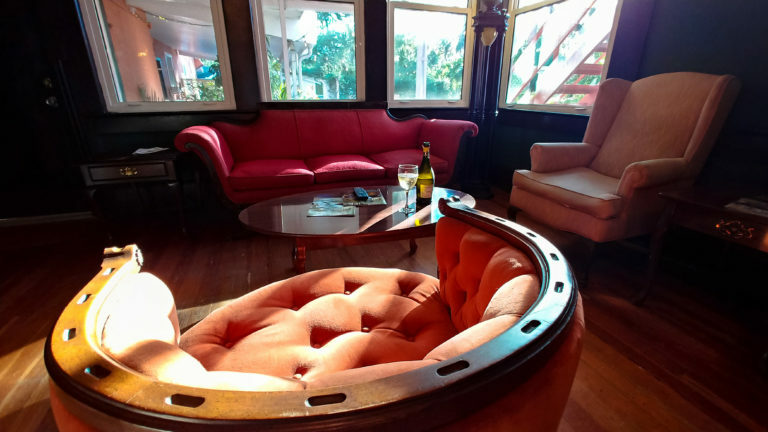 Late night talks Thursday, Friday, and Saturday with coffee/wine in the 1920s themed lounge. 5. Sushi lunch downstairs at Twisted Chopsticks (conveniently attached to the hotel). 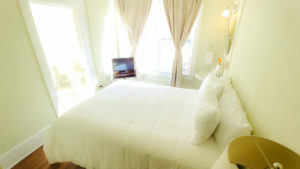 All of my guests enjoyed their rooms and the bridal suite is very spacious for getting ready for the big day! 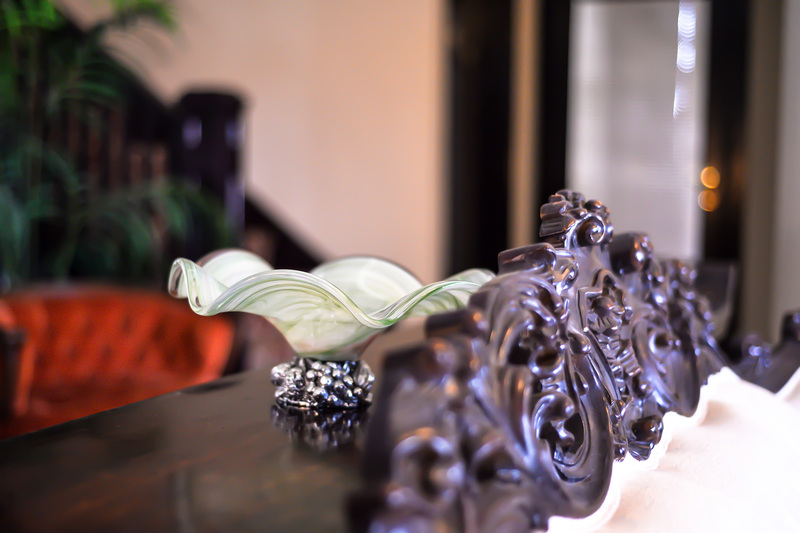 My family had a great time utilizing the picturesque staircase, lounge, foyer and porch for some beautiful photos! Ross is wonderful to work with and Miranda is the sweetest! I highly recommend this hotel! Enjoy our Free Wifi then relax your senses in an original claw foot tub with shower along with our complimentary infused essential oils bath gels and lotions. 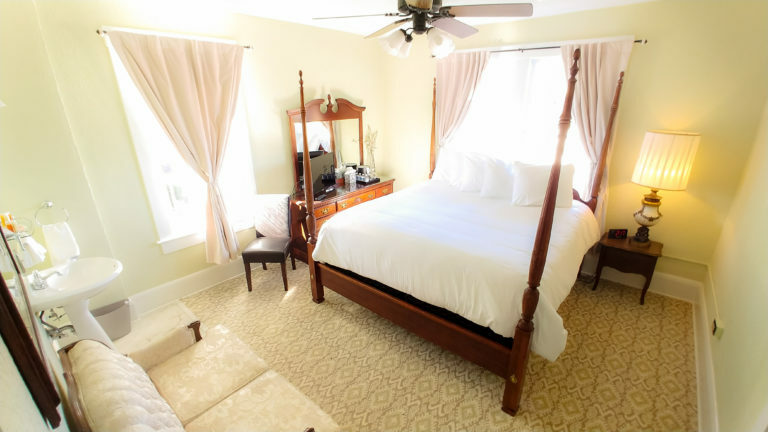 Whether you desire one night, a romantic weekend or longer, our vintage decorated suites full of eclectic detail will embrace you with comfort at every level. We are simply a phone call or e-mail away. Fill out our Contact form below and a representative will assist you.